OK, so this was total luck. 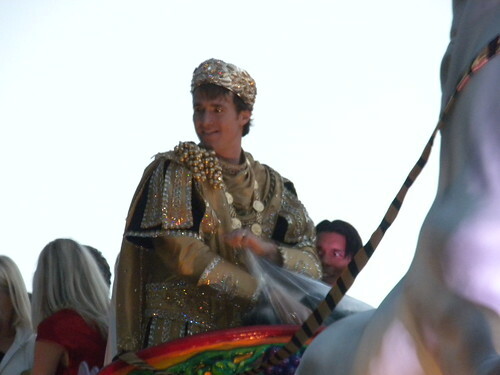 I just happened to have my camera out as Drew Brees was rolling up as Bacchus and snapped a great photo of Drew Brees throwing swag. Again, sheer luck to have camera in hand. Only wish this photo of Drew Brees was a little better focused.